With passage of the Bland-Allison Act on February 28, 1878, the year quickly became a busy one at the Mint. The one dollar pattern coinage of this year, of which many varieties were produced, is the lowest denomination pattern coin of the year. Although not exactly the same, the designs of this pattern are virtually identical to the design finally adopted. Andrew Pollock recognized two very slightly different obverse dies, both included in a single catalogue number by Dr. Judd. 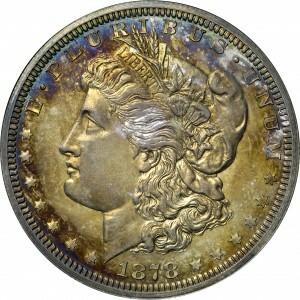 Possibly 12 to 15 examples are known from both obverse dies. From RARCOA's sale of the Harry X Boosel Collection, April 1972, Lot 1158. 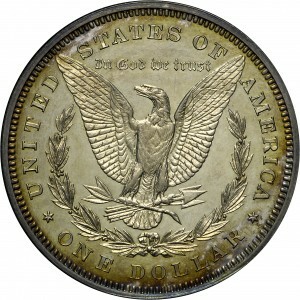 Similar to the regular-issue Morgan dollars of the date, with only very minute die differences. 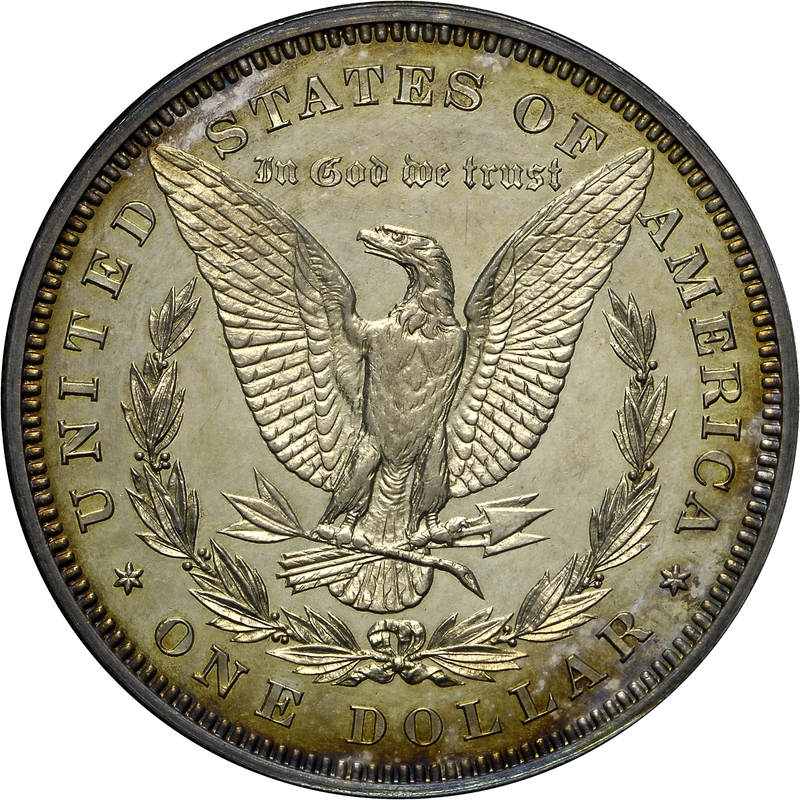 Generally similar to the regular-issue Morgan dollars of the date, but with some differences, including only three leaves in the olive branch. "Morgan design. Obv: Recut date. Rev: Larger stars and letters."